As a result of a long product development we have created a high quality and balanced Chaga Elixir (Inonotus obliquus) for easy and safe everyday use. Infused with hand-picked arctic berries for even more vitamins and taste! 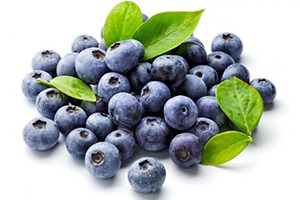 Bilberry containts a lot of vitamins, fiber and flavonoids, and of course the refreshing taste. 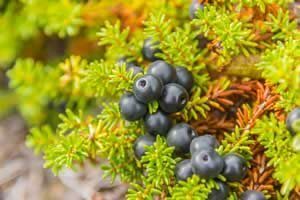 Crowberry on the other hand contains high amounts of Vitamin C so by combining these two berries we’re bringing you an incredible amount of ingredients. All our berries are freeze-dried to retain all the vitamins. Afterwards they are pulverized and mixed with the chaga powder. Contains 30 pieces / 2000 mg of fast-dissolving, instant chaga in ready-made single portion bags. Product is raw superfood, and is naturally lactose-free, gluten-free and soy-free. Mix contents of one single portion bag to beverage of your choice, such as tea, smoothie or porridge. Our mission is to find the most nutrient-dense raw materials from everywhere in the world and innovate them into an easy-to-use raw food form to complement everyone's well-being. 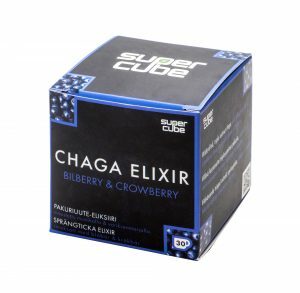 As our first product we launched the most powerful chaga elixir in the world. Hand-picked from the coldest and cleanest places on earth, we developed a gentle triple-infusion which brings out the best of the effective ingredients in an easily digestive form.